Taxi drivers’ gangs, which don’t actually ferry people, request for change of Rs 1,000 from would-be passengers and fool them into handing over more money; Dadar, LTT, airport prime hunting grounds. 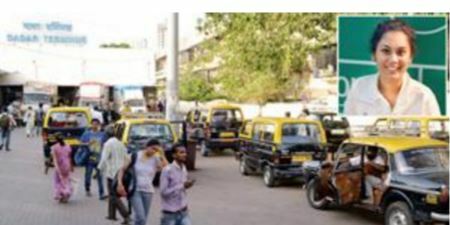 A Goregaon resident’s recent blog post about a taxi driver who duped her at Dadar station has brought to light a racket in which a cabbies’ gang seeks change for Rs 1,000 from passengers and fools them into handing over more money. After Jade D’sa, a content marketer and freelancer, shared her experience online last week, scores of people revealed that they, too, had been cheated in a similar fashion. Jade was targeted a second time by another gang at Dadar station, but she flatly refused to help the cabbie get change and got out of the vehicle. According to her blog post and accounts shared by other commuters, certain cabbies at railways stations have a fake passenger seated in their cars. They will still offer to ferry you by falsely claiming that the passenger’s trip has ended and is just waiting to get change for Rs 1,000. The driver will give you a Rs 1,000 note and request for two Rs 500 notes in exchange. Seconds after you hand them over, the fake passenger will complain that you have mistakenly given him/her one Rs 100 note and demand the remaining change. “The moment the man pretending to be a passenger got out of the taxi with the money, the driver told me that he would have to make a 20-minute stop at a petrol pump. I had already waited 15 minutes, so I decided to hire another cab,” Jade told Mirror, recounting the incident that took place six months ago. Posted on November 12, 2015 Author yazdiCategories News - Miscellaneous, Traffic / Roads etc.